Leaping above Antique Patina waves, these happy Classic Black Bronze dolphins are fun-loving creatures. Fine's Gallery uses only the most perfected methods of bronzing to create our beautiful pieces. 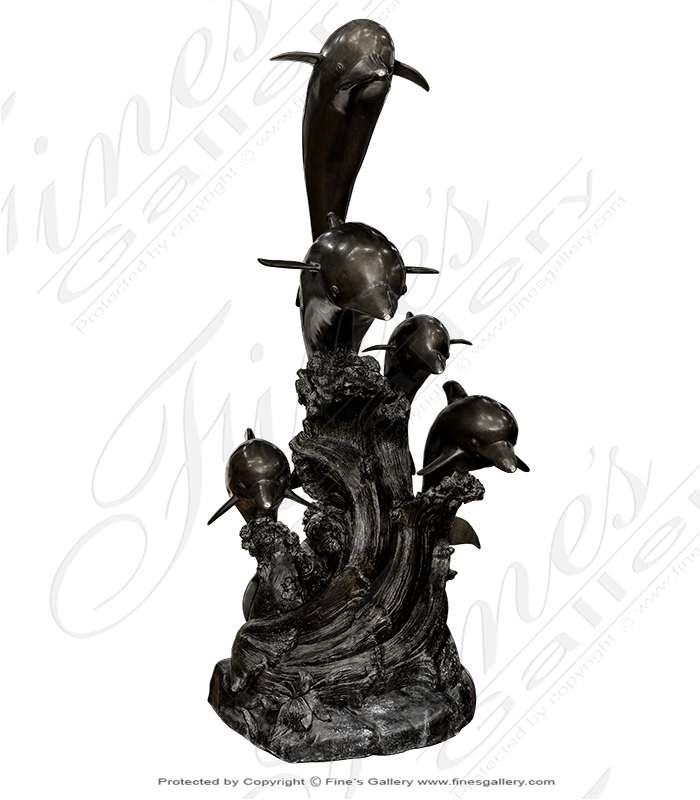 Call for more info on this bronze dolphin fountain. Yes I would like more information on BF-112.